John DeCaro of All Ocean Yachts, has represented the Buyer in the sale of JULIANNE, the 80’ 2006 Northern Marine expedition yacht. Julianne under a new name will set off for an extended world cruise. Her mission is to take the new owner to remote locations around the world and visiting both of the Polar Regions. We were very please to be able to assist the new owner and his Captain in locating and procuring the correct vessel to meet all of their requirements. 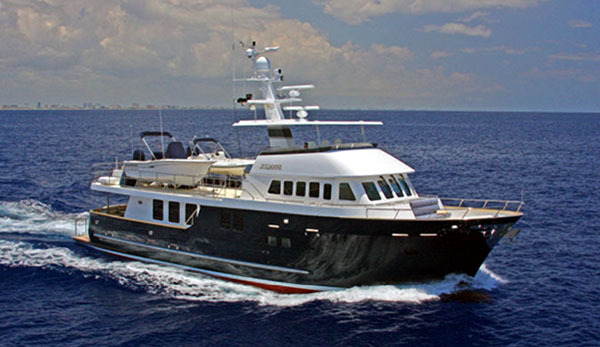 She will be available for charter during her cruise, please Contact Us regarding her schedule and charter information.